Qatar is one of the best countries in the world to live and work in. Tax free salary, including a number of allowances. Outstanding education, healthcare and sports facilities. The cost of living in Qatar is one of the lowest amongst the Gulf States. 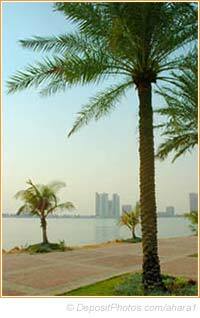 Qatar has a more temperate climate compared to other Gulf States. Qatar has an extremely low crime rate. Excellent social scene for expatriates. (Convert to £ in new window). Annual Leave – 35-50 days paid annual leave plus 10 Eid holidays (local public holidays). Professional Development - Through internationally accredited training. Career Development – Excellent promotion opportunities and career progression. Relocation Support – Including full work induction and country orientation. Family Support - Extra benefits are available for families - please enquire. Immediate Start available - Contact Us Now! Hamad Medical Corporation (HMC) provides highly specialized care to women and infants at the specialized Women’s Hospital (WH) in Doha, Qatar. One of the busiest hospitals in the region, WH caters to a range of specific conditions as well as maternal health including around 1200 new-borns each month. Women’s Hospital has 334 beds grouped according to the type of care required by the patients: They are antenatal (before birth or during pregnancy), postnatal (during the period immediately after birth), gynaecology (a branch of medicine that deals with the diseases and hygiene of women) and high dependency areas.